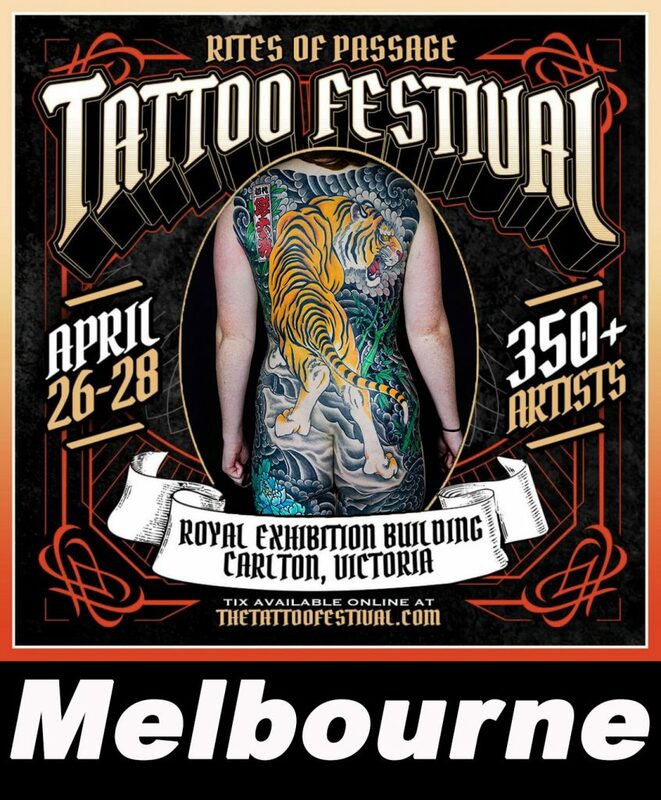 For the first time ever Horisumi is attending a Melbourne tattoo expo at Rites of Passage Festival April 26-28. He’s taking appointments now for tebori tattoos and has 3 full days available, Horisumi will also be doing a lecture on Japanese Irezumi and Ukiyo-e on both Friday and Sunday on the main stage along with a PowerPoint presentation illustrating the lecture. And he’s allegedly judging the tattoo competition as well! Good times!